THERE are more mobile phones in Ireland than there are people. There are just short of five million of the devices. We love to talk and we are big users of data on our phones, but surprisingly we are not keen on changing networks. This is despite the fact that you can make savings of €300 a year from ending a contract with an expensive mobile phone operator and opting for a better-value phone contract. Research shows that just one in seven of us bothered to ditch our mobile-phone provider for another one. That is up slightly on previous years, but it compares with close to a third of people who will change motor insurer in a given year. According to the Competition and Consumer Protection Commission - the State body set up to enforce consumer protection - the savings from switching mobile phone operator are among the highest of all household bills. Loyalty is often the reason we resist seeking a better deal. But in the case of mobile phones, the sheer number of different plans and their complexity plays a big role in stopping us getting a better deal. There are now three dominant mobile phone operators in this market - Vodafone, Three and Eir (Meteor/eMobile). Smaller operators include Tesco and LycaMobile. Recently, Dixons Carphone launched iD Mobile, and Virgin Mobile also entered the market. When considering switching plans, you need to be clear about what kind of mobile phone user you are. Ask yourself if you spend time talking on the phone or do you prefer sending text messages? If you send a lot of messages, do you send traditional texts or do you use tools like WhatsApp, which eats into your data allowance? How much data do you consume a month? The answer will typically be over 1GB if you consume a lot of online video and streaming music. Once you understand these factors, it is a case of shopping around for the most suitable plan for your needs. Do not be drawn to spend extra on unlimited plans if you are not a heavy user. Who needs unlimited texts if you never use them? Remember that it is possible to spend €25 a month with one provider and €75 with another for the exact same usage. The Killbiller App will audit your usage and recommend a plan for you based on your actual usage. Low users could be spending as little as €12 per month, while even heavy users should not be spending more than €25 per month on a SIM-only plan. data rates are increasing rapidly, so the amount of data you use right now will increase over the next year. The average smartphone user uses 3.4GB of data per month (almost a 70pc increase on last year). If you are entering into an 18 or 24-month contract, ensure you add some buffer for data. Go for 10GB per month if you can afford it. You can move from one operator to another without any fuss. You can even keep your full mobile number, what people in the mobile phone business call number portability. 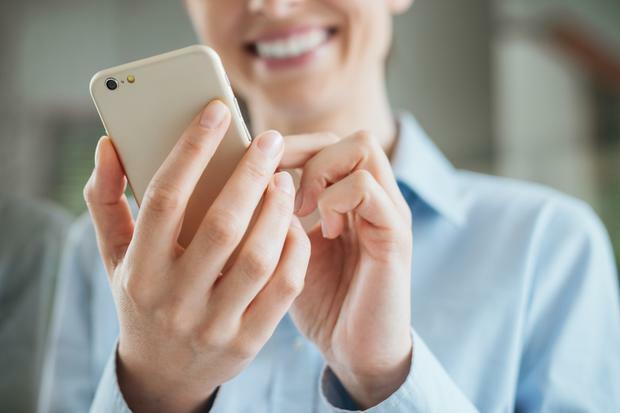 The main thing to be aware of when switching from one service provider to another is whether any minimum contract term applies to your existing contract, according to the telecoms regulator ComReg. If you are still in contract, you will be charged cancellation fees by your existing provider if you leave before that period is up. If you have upgraded or changed to a new package with your existing provider, this can result in an extension of the minimum contract term. You should also check your existing terms and conditions to see if you are required to give 30 days' notice before leaving the current service provider. If there are no minimum term/notice period issues, then all you have to do to switch is to contact the new provider and advise them you wish to sign up to their service. people who want a phone (bill pay with phone): Tesco mobile is rapidly gaining market share in Ireland with its brand of decent smartphones and cheap plans. Its €30 bill pay plan comes with 15 GB data, 500 minutes and 500 texts and includes a number of good quality smartphones for free or low cost. people who can go SIM-only (and not get a phone): some new discounts just arrived on to the market this month. iD has 30pc off bill pay and SIM-only plans for six months. Lehane advised mobile users to go for its 20GB, 100 minutes, 100 texts plan which normally costs €20 a month but, with the discount, will cost €14 a month for six months. If you are SIM free, you can leave after the six months to another network or stay on and pay €20 a month. Meteor currently has €5 off its SIM-only plans for six months. Lehane says avoid the Lite plan with only 1GB data, but the Regular Extra plan has 10GB data, 400 minutes and unlimited texts for €20 a month. Again, Tesco mobile has a great deal with a €15 top-up giving 10GB data and unlimited calls. You can use your remaining credit to get an unlimited text add-on meaning you get 10GB data, unlimited calls and unlimited texts for €15. Step 1 Choose a mobile operator. Compare the price plans on offer from the main mobile operators on the market at Callcosts.ie. This site is run by the regulator, ComReg. You will have to dig out a bill and enter into the website how many texts you send in a month, the amount of data you use, and your calls to landlines and to mobiles. Alternatively, you can download the free app from Killbiller.com, which burrows into your phone and assesses your usage. It then tells you what you would spend on all available plans, with your own network or another operator. Step 2 Contact your new operator and provide your details. You can either phone them, go online or call into their retail outlets. When you move to a new operator, you can keep your old number if you want. STEP 3 Switch. Your new mobile operator should complete the process for you within a few hours. So, if you are unhappy with the service provided by your mobile operator or if you feel you are paying too much, consider switching today. With car insurance premiums still rising, is it worth switching? Usually when it comes to insurance products, prices only go one way - up. That makes shaving off extra costs difficult as you're simply running to stand still each year. Averil Larke from Celbridge in Kildare is a 54-year-old driver with a clean record and no claims against her, so when her then insurance broker, the AA, quoted her a premium of €968 on a 161 registration Peugeot 308 diesel car, she felt that it was time to look around.